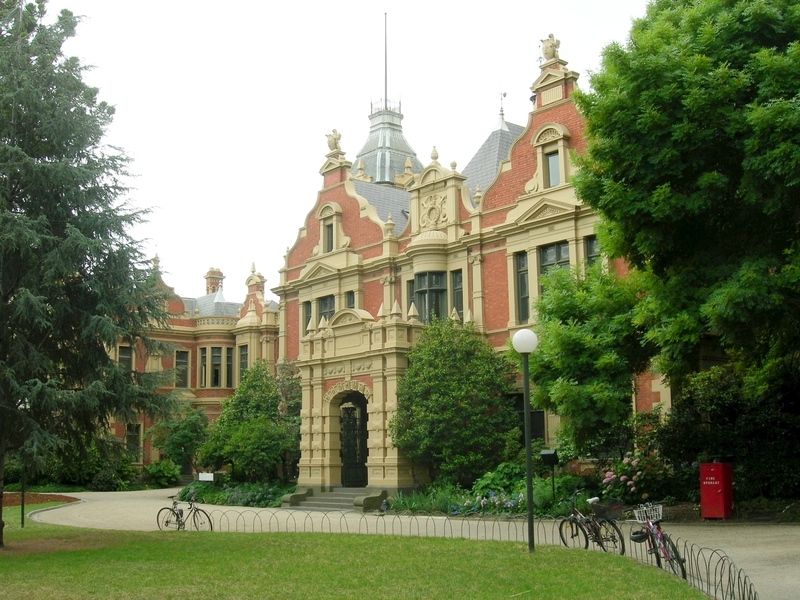 The 1888 Building was built as a residential teacher training institution for the Victorian Education Department. It is sited on the University of Melbourne reserve, on a section of land which had remained undeveloped by the university in the 1880s. In 1876 Charles Henry Pearson was appointed Commissioner of Education to enquire into the provision of teacher training institutions. He reported to parliament in 1878 recommending a block of nine acres on the corner of Swanston and Grattan Streets. The land, comprising four acres, was finally gazetted for the new Melbourne Training College in 1887. The new building was to replace its predecessors, the National Board's Normal Institution (1856-59) and Board of Education Central Training Institution (1870-1889). In October 1887 Charles Topp, the new principal, wrote to the Education Department suggesting training colleges be contacted in Britain for ideas relating to planning of training colleges. The 1888 Building was constructed in three phases between 1889 and 1892 to Public Works Department designs. The plans were prepared by architect GBH Austin under the supervision of JH Marsden. The main facade of the tuck-pointed red brick structure is a clear expression of the English Queen Anne style, although flanking wings are more restrained and Elizabethan in character. The building comprises a central block with main entrance, lecture halls and library, and is flanked by dormitory wings to the east and west to form an E-shaped plan. Male students were located in the west wing and female students in the east wing. Lecture rooms were also segregated. The principal south facade is symmetrically arranged around the main entrance and porch, which includes a third floor added during the 1940s. This is the most elaborate facade, with three storey mansard roofed towers, rendered quoins, deep moulded cement cornices, ionic pilasters, urns and prominent Dutch gables. The main entrances are all treated in a similar fashion, consisting of elliptical arches decorated with rusticated blocks finished with pressed cement floral decoration. Griffins adorn the parapet. During the 1890s the building had a short period of closure and operated as a private boarding school. It later resumed its training function and was known as the Melbourne College of Education and then later as the Melbourne State College. It was amalgamated with the University in 1989. The exterior of the building is intact but with modern additions to the rear. 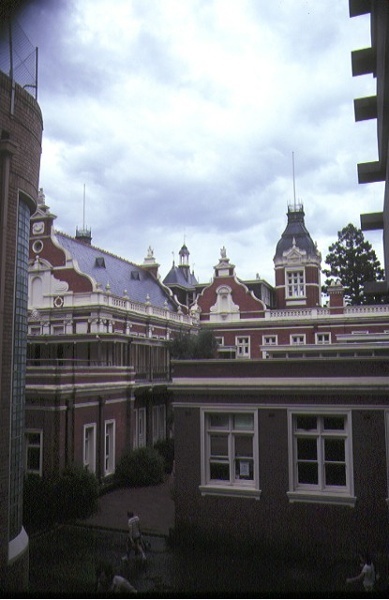 The 1888 building is of architectural and historical significance to the State of Victoria. 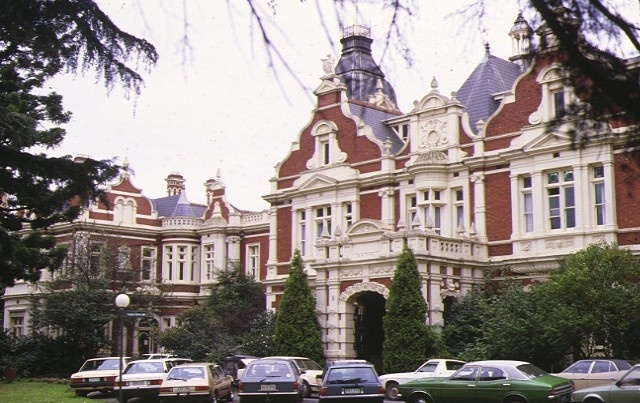 The 1888 building is architecturally significant as a distinctive example of the Queen Anne style, one of the oldest buildings of its style in Victoria. The style drew on the development of the Queen Anne style in England from the 1870s to the early 1900s, particularly among London Board Schools. The 1888 building also appears to draw directly on the formality and planning of training establishment precedents in England from the same period, notably the co-educational Homerton College in London. The use of the full range of Queen Anne devices appears unmatched in public buildings in the State. The survival of the principal interior spaces demonstrates its original function as a segregated residential college. The 1888 building is historically significant in the development of educational training in Victoria. The building reflects the new commitment to teacher training, apparent within the government during the late 1880s. The building is significant for its associations with several of Victoria's leading nineteenth century educationalists, notably Charles Henry Pearson and Charles Topp. Both Pearson and Topp are believed to have been heavily involved in the planning and design of the new building. 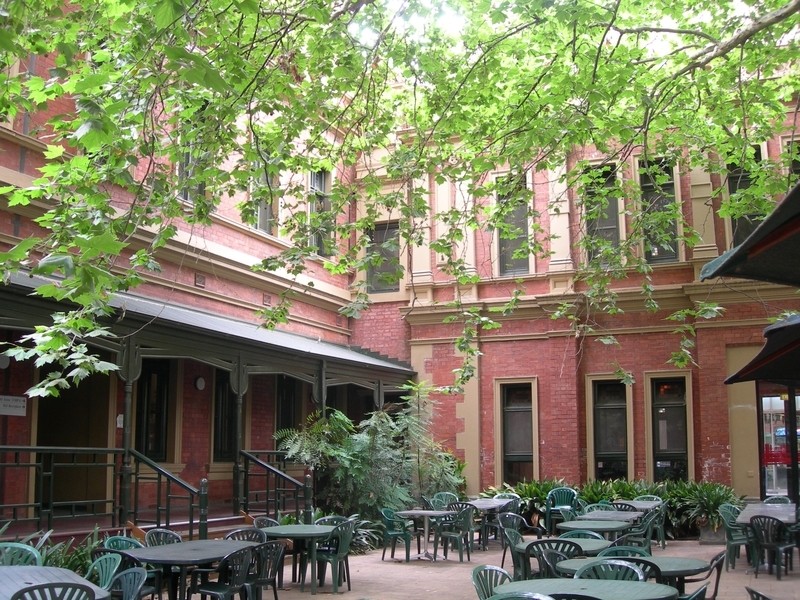 (i) Melbourne College of Advanced Education (1888 Building). In 1876 Mr Pearson was appointed Commissioner of Education to enquire into the provision of teacher training institutions. He reported to parliament in March 1878 recommending a block of 9 acres on the corner of Swanston and Grattan Streets, which although enclosed by the university had never been officially granted. In August 1887 several interested parties put forward their claims for the available land in Grattan Street, including University of Melbourne, Melbourne Training College, the Military Cadet College and the Womens Hospital. The land was granted to the Melbourne Training College and the Military Academy. 4 acres and 15 perches were gazetted on 9 September 1887. In October 1887 Mr Charles Topp, the new principal, wrote to the Education Department suggesting training colleges be contacted in Britain for ideas relating to planning of training colleges. Plans for the new college were completed by the Public Works Department on 12 June 1888 and tenders were asked for. The contract was let to James H Sutherland in July 1888 for 8948 pounds. In November an additional 2863 pounds was added bringing the total building expenditure to 11,812 pounds. 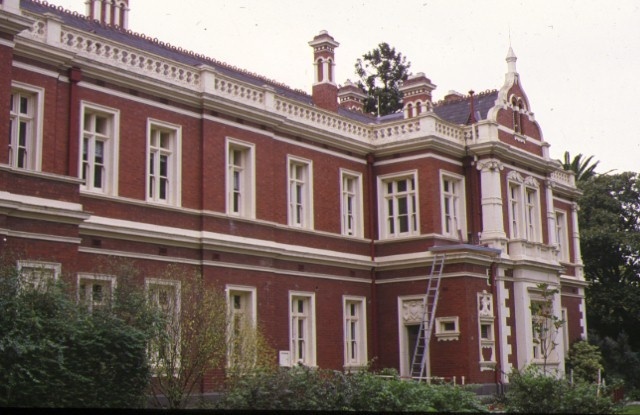 The 1888 Building was built as a residential teacher training institution for the Victorian Education Department. It was sited on the University of Melbourne reserve, on a section of land which had remained undeveloped by the university. It was constructed in three phases between 1889 and 1892 to Public Works Department designs. It replaced an earlier teacher training college in East Melbourne. When finished the college was considered a lavish and elaborate facility. During the 1890s it had a period of closure and a period as a private boarding school. 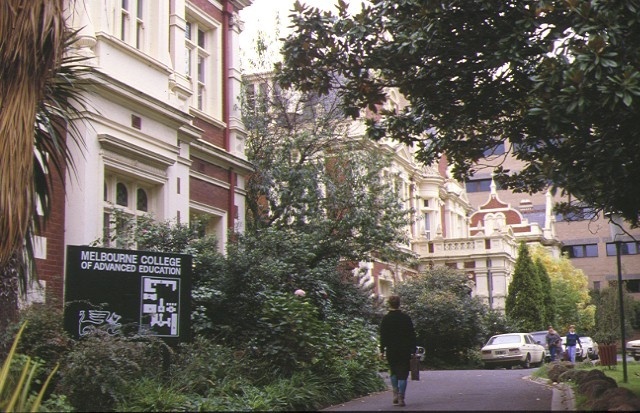 It later resumed its function and was known as the Melbourne College of Education and then the Melbourne State College. It was amalgamated with the University in 1989. Following amalgamation it became the Institute of Education. Since 1993 the building has been the School of Graduate Studies. There have been several periods of alterations to the internal fabric, notably in the 1940s.